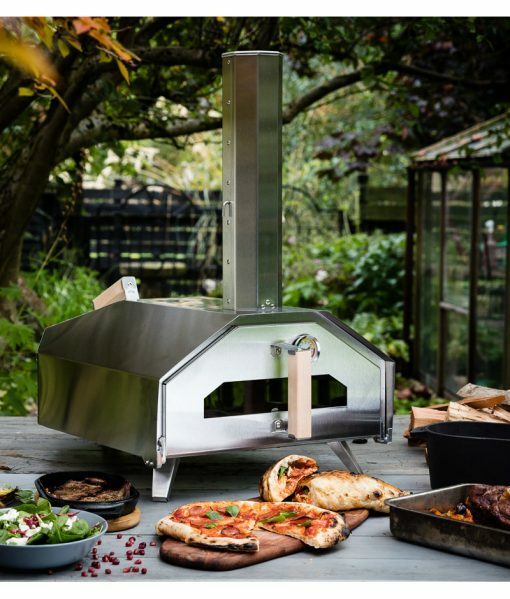 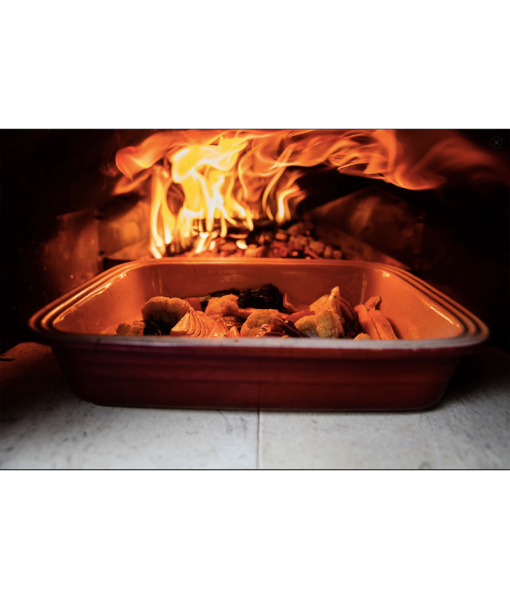 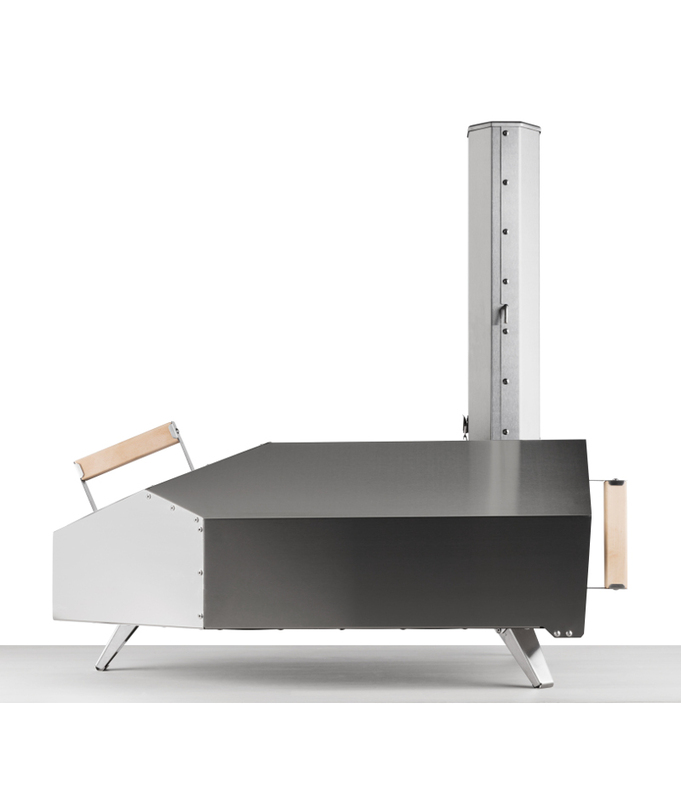 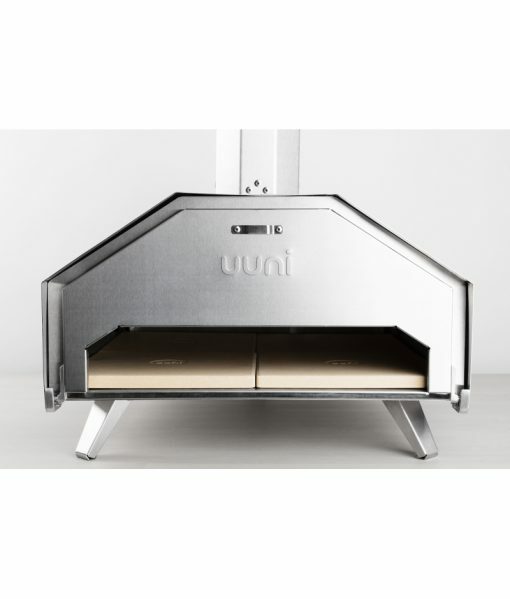 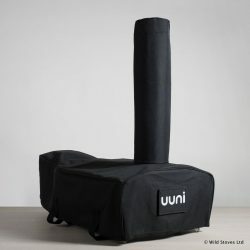 Uuni Pro: Our highest-performance, portable and most versatile oven for pizzas and more… Powered by wood and charcoal or wood pellets (see accessories). The ultimate tool for your outdoor kitchen! 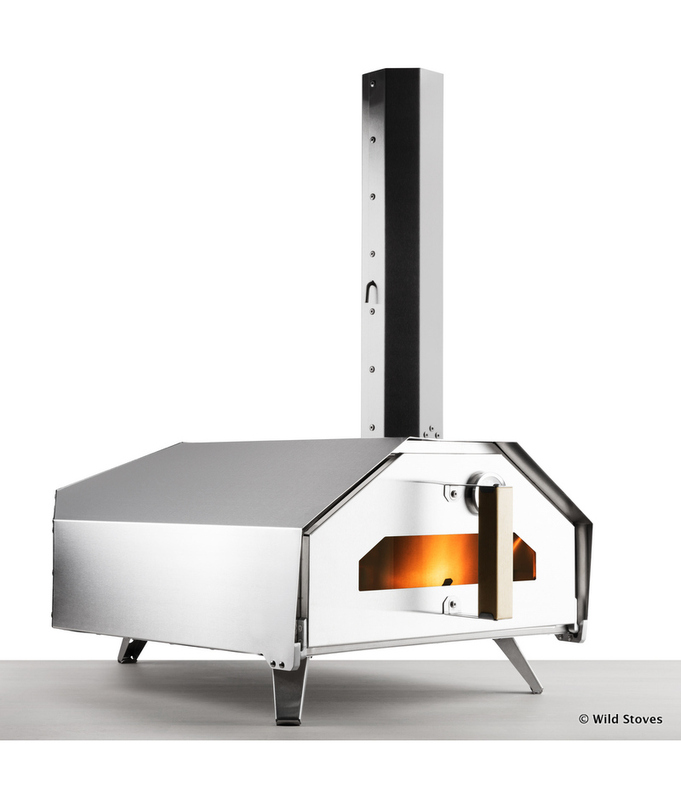 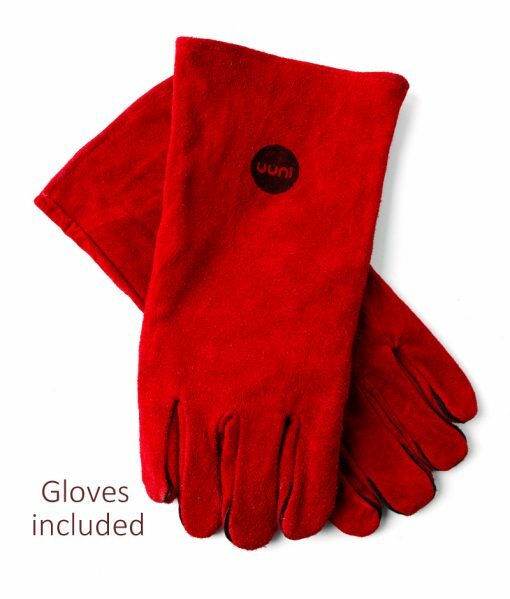 This builds on years of experience from this long-time partner of Wild Stoves. 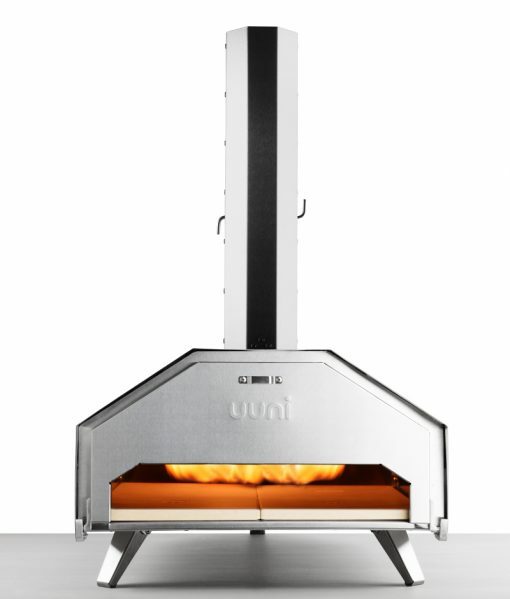 The cooking area of Uuni Pro and its multi-fuel capabilities means Pro is extremely versatile – you can cook a huge variety of food; large roast meats, fish, vegetables, bake bread and lots more. Uuni Pro comes with the Wood + Charcoal Burner as a standard. 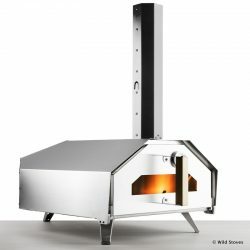 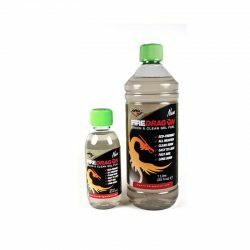 As the name suggests, it’s for burning regular wood kindling as well as charcoal. 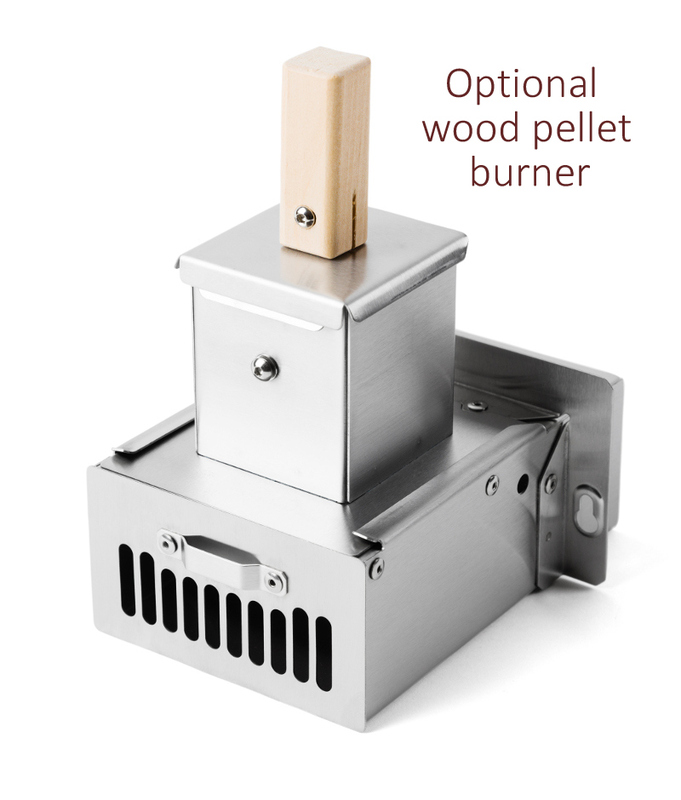 You can also burn wood pellets with the optional Wood Pellet Burner accessory. 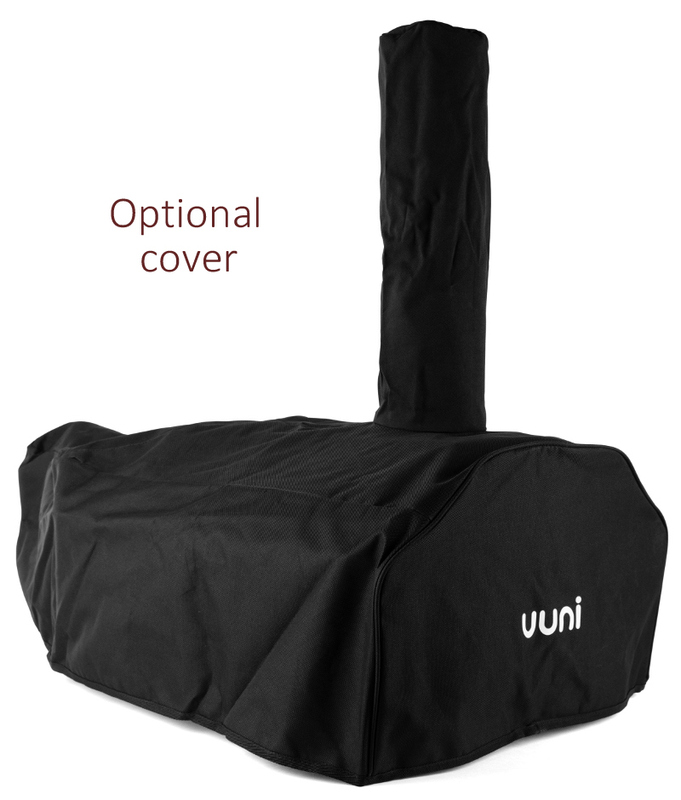 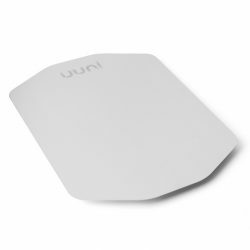 Uuni Pro comes with 2 doors. The Uuni Pro Door has a glass front and a thermometer helps you to check out the oven’s temperature at a glance. Uuni Pro also includes Uuni Pro Pizza Door. This door has a ‘letter box’ opening to slide pizzas in and out easily. 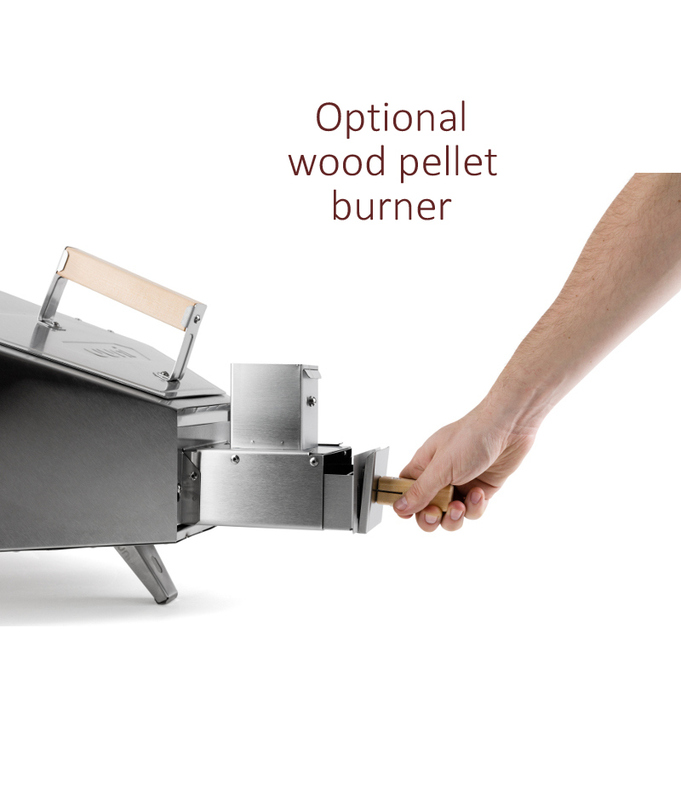 It’s fully removable too so it’s easy to put in a large piece of meat or bread. 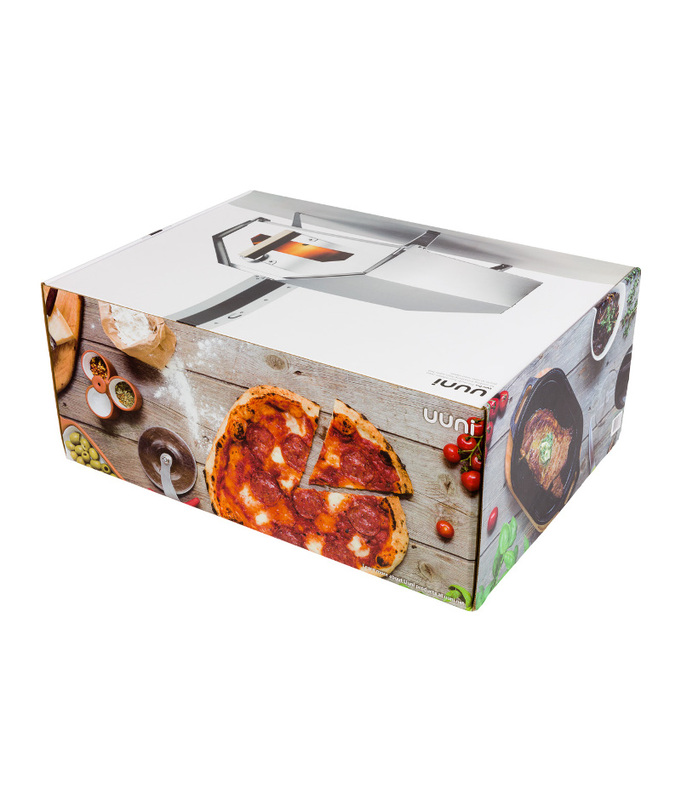 Uuni Pro can reach temperatures of 500˚C in just 20 minutes, and it takes only 60 seconds to cook an authentic pizza (up to 16-inches in size). 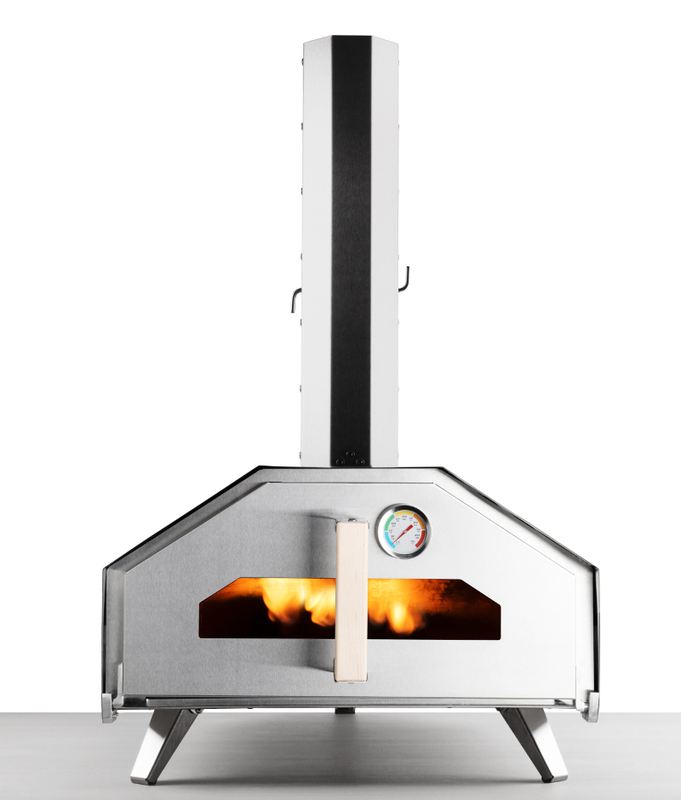 Large cooking surface, enabling you to bake 16″ pizzas, breads, roast joints of meat and lots more. 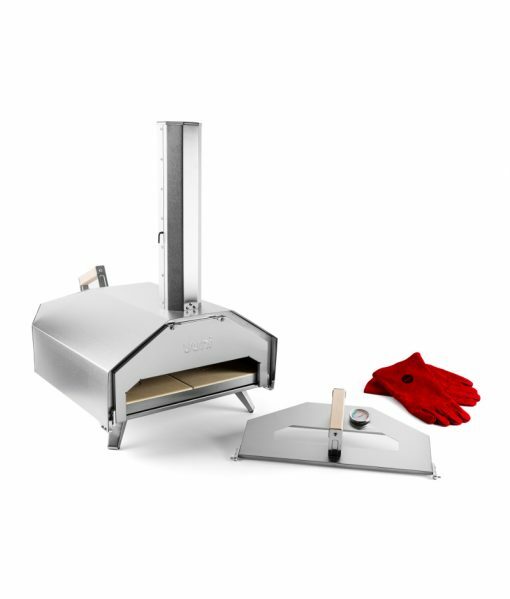 Note: the oven does NOT include a pizza peel. 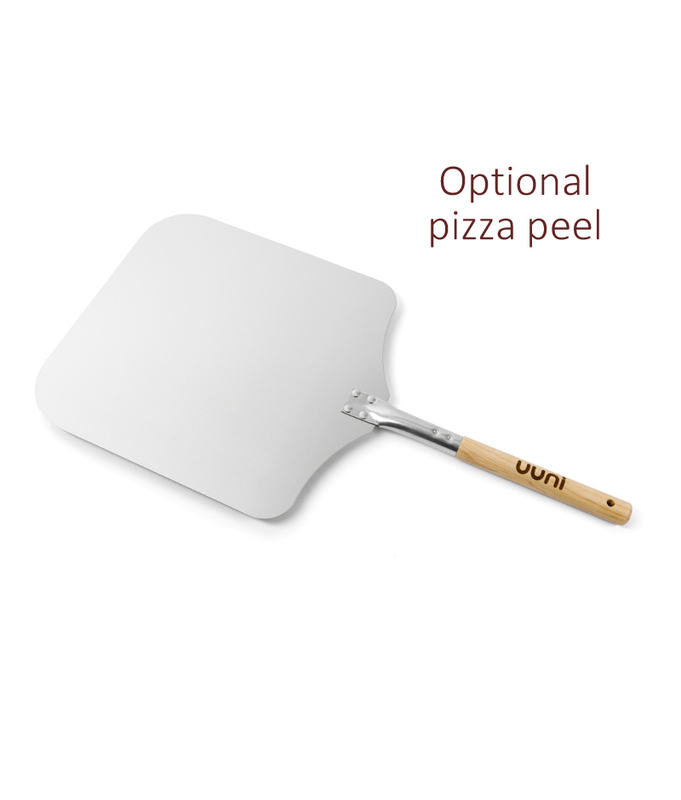 See drop-down options for adding peels.